German, Chinese, English, Japanese, French and Spanish. 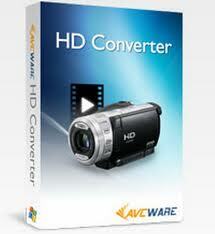 AVCWare HD Converter does well in converting HD video formats such as AVCHD (mts, m2ts), H.264/AVC, MKV, MPEG-2 (ts), DivX, HD WMV, MPEG-4 and Quick Time with advanced High-Definition video conversion technology equipped. It not only converts from HD videos to Standard-Definition (SD), but upgrades an SD video to HD! Convert between HD video formats, convert HD to SD files, extract music from videos and convert between audio files easily and quickly with AVCWare HD Converter’s help. Almost all HD, general video and audio formats are supported well, including AVCHD (mts, m2ts), MKV, HD ASF, HD AVI, H.264/AVC, HD Quick Time, HD MPEG-4, HD WMV, AVI, MPEG, WMV, MP4, 3GP, FLV, RM, MOV, MP3, WMA, AAC, etc. Besides HD videos, this HD video converter can also extract and convert audio files, capture pictures from various videos, make videos out of pictures with JPG, GIF, BMP or PNG extensions to your preferences. Trim video clip by setting its start time and duration and convert without any part that you don't need; split a large file into several ones by customizing file size or split time to fit your demand.